From Friday 4 January 2019 until Tuesday 31 December 2019: Enjoy 20 % off! 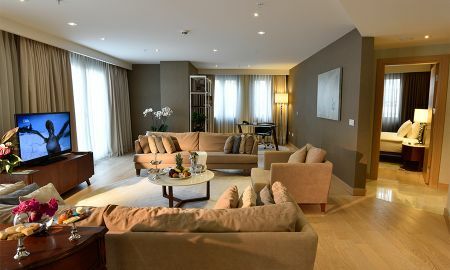 This apartment is located within a luxurious residence adjacent to the hotel main building. It has a dining area, private kitchen with kitchenware and a bathroom. 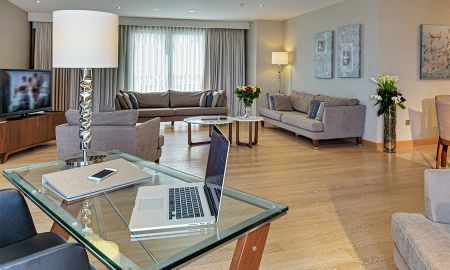 This apartment is located within a luxurious residence adjacent to the hotel main building. 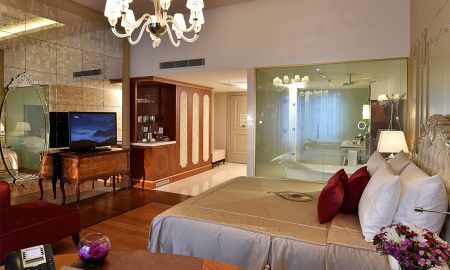 This suite includes 3 bedrooms, living room and 2 bathrooms. It also has a kitchen with kitchenware. 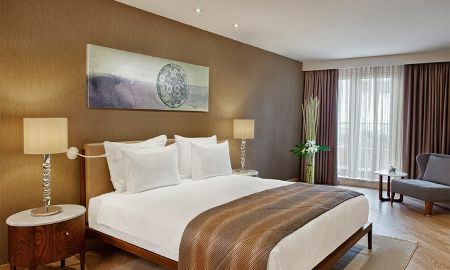 Park Bosphorus Istanbul, located in Taksim-Istanbul is more than a hotel, it is a true legend for its guests and Turkish inhabitants. 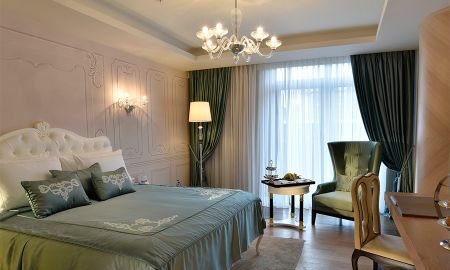 The building housed the Italian Embassy originally, but it was soon transformed into an Ottoman Diplomatic quarter, into Miramare Hotel and, only in 1979, it was named “Park Hotel”. 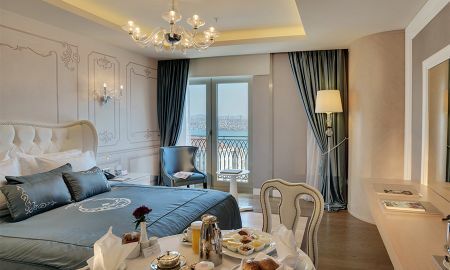 The strange and controversial identity of the current Park Bosphorus Istanbul hotel was a source of inspiration for poets coming from every corner of the world. 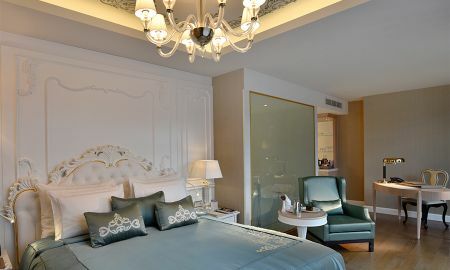 Guests are welcomed in a lively, quiet and dream atmosphere, thanks to the hotel’s cutting-edge installations and amenities located both in the soundproof and large rooms and in the hall. 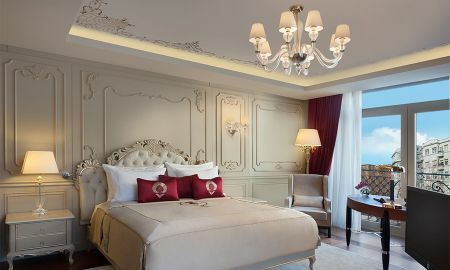 The rooms are decorated with modern architecture which mixes traditional Turkish styles with Western design. The large and quiet restaurant serves international dishes for every tastes and needs. Its staff invites guests to start an unforgettable experience through global gastronomy. Park Bosphorus Istanbul is located in the heart of the historical district of Gümüşsuyu on the European Side of Taksim-Istanbul. 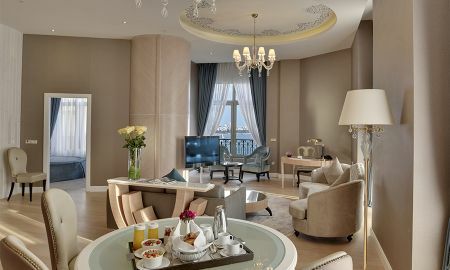 It offers a breathtaking view over the Bosphorus. 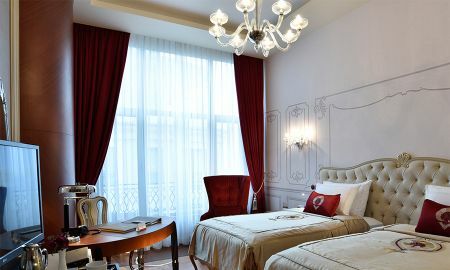 Taksim Square and Istiklal Street are just 100 metres from the hotel.